You Spend Countless Hours in the Environment Gathering Crucial Data During Field Inspections. We want to ensure that your information is safe, secure, and efficiently processed for accelerated reporting – giving you faster invoicing and reduced cash cycle time. When it comes to Environmental Compliance, your data must be error-free. Don’t put your customer at risk; turn to a proven mobile solution. 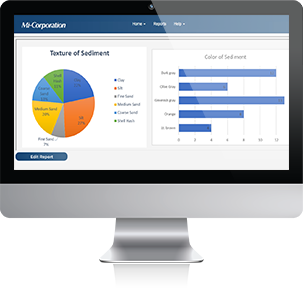 Contamination Site Assessments and Remediation put human health and safety into your hands, and improper data or inefficiencies are not an option. We have the technology to support your need for accuracy in every inspection. Water Management Services are imperative for sustainability and life as we know it. Trust in a reliable platform that will help your environment flourish. 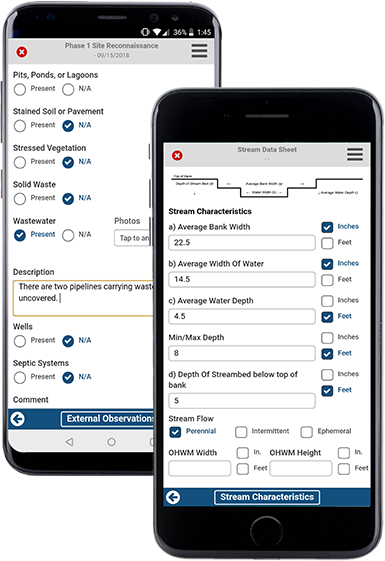 The most intuitive data capture workflow technology available on the market to speed up and simplify all your work from the field to the office to the customer. 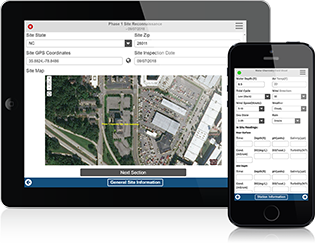 With mobile capture, your data reporting will be faster, providing you with more time for inspections . Want to learn more about how going mobile can cut costs, improve data quality, and supercharge reporting? 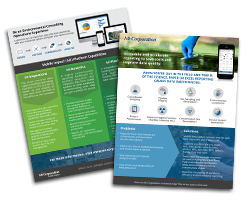 Download our flyer to learn more about common problems in the environmental industry and how going mobile can improve your processes and increase ROI.